PC gaming is big again. According to market research firm NPD, the release of Diablo III drove PC game sales up 230 percent in May. That was in a month where overall sales of games dropped by 28 percent. The Gods and Kings expansion to Sid Meier’s Civilization V did well in its recent release, too. Even smaller companies, such as Ironclad Games, with its Sins of a Solar Empire: Rebellion, are shipping PC games that garner great reviews and attract new players. Building or buying a gaming PC can be a complex and mystifying process, with manufacturers tossing around terms like Shader Model 5, DirectX, SLI, liquid cooling, and GDDR5. Looking at gaming systems at a purely technological level is generally a mistake, however. It’s better to fall back on the tried-and-true method for making any PC purchase: considering your budget and your needs. How much can you spend? You probably don’t have an unlimited budget, so it’s a good idea to settle on a maximum dollar outlay for your new PC. If you're concerned about the cost, remember that other considerations somewhat mitigate that, since you can use a PC for tasks other than gaming. Then again, you’re not buying a $500 GPU just to run Quicken. Your budget will determine the types of components you can afford. 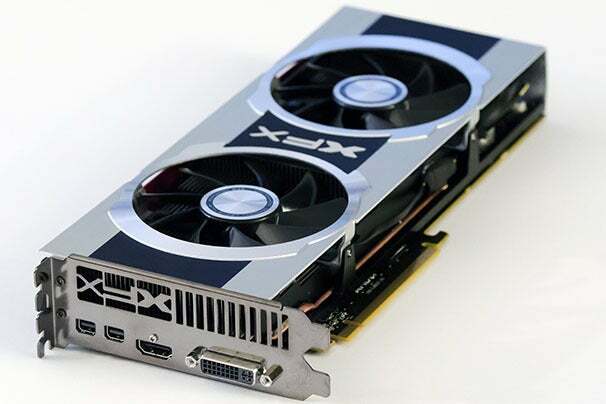 You may love the idea of running two graphics cards in SLI or CrossFire mode, but if your total system budget is $900, dual graphics cards won’t be part of the mix. Once you iron out your budget, you can start thinking about how to divide it up. You have one more consideration before you dive into product choices. 2. What Do You Play? What are your tastes in PC games? If you love playing modern first-person shooters, graphics hardware becomes a higher priority than CPU performance. If turn-based war games scratch your gaming itch, a fast CPU to process the AI more quickly may be more important than a high-end GPU. Real-time strategy games often require a balance between graphics and CPU. The other issue that’s shaping games today is the blurring of genres. Multiplayer first-person shooters often have a strong strategic element, particularly in commander mode. Some real-time strategy games, particularly tower-defense games, are adding a first-person element. So don’t completely discount the value of a good GPU. Civilization V, for instance, looks much better in DirectX 11 mode than in DirectX 9, but also requires more graphics muscle in the newer mode. I know, you’re itching to drop hundreds on a spanking-new, high-end graphics card. Your games will look so much better on your 20-inch display, with its 1680-by-1050-pixel resolution. Once you understand which types of games you’ll be playing, you should think about the GPU. Even in CPU-heavy titles, graphics remain an important aspect of gaming, so you want to buy the best possible graphics card within your budget. On the other hand, you don’t want to spend too much. It always amazes me when I see someone drop a cool grand on two high-end graphics cards to drive one 1080p monitor, and then run most games at default settings. You might prefer a high-end card for several reasons. For example, you may want to enable antialiasing in most titles. Perhaps you’re interested in stereoscopic 3D, which requires nearly double the graphics horsepower. But in those cases, you need to know what you’re doing. Buying a pricey graphics setup, and then never adjusting your game settings, is an utter waste of money. As a rule of thumb, I allocate one-third of the cost of a gaming rig for graphics. So if your system budget is $1000, for instance, don’t spend more than about $330 on the graphics hardware. Note that the prices of cards using the same graphics chip can fluctuate. In general, I avoid most overclocked graphics cards--you don’t get much additional performance, and you may run into stability issues in the long term. You should consider getting the most recent generation of GPU you can afford. Unlike CPUs, newer-generation GPUs often perform significantly better than previous generations do. As an example, today’s Radeon HD 7850 outperforms the high-end, $500 cards from two years ago, and it's under $300. As for displays, while image quality is important, so is frame rate. The great thing about modern LCD panels is that low-latency monitors are common and inexpensive. If you appreciate higher color fidelity, you may want a monitor using some form of IPS LCD technology, but that’s more of a “nice to have” rather than a requirement. I’ll say this once: You do not need six cores to play your games. If you really want a high-end platform, Intel makes the Core i7-3820, a quad-core processor that plugs into the LGA 2011 socket. It’s relatively affordable, at roughly $300. The LGA 2011 platform offers tremendous memory bandwidth, given its four-channel memory architecture. On the budget end, Intel recently shipped the Core i5-3450, which you can find for under $200; it can run in lower-cost motherboards based on Intel’s LGA 1155 socket. If low noise levels appeal to you, consider a system with one of those newfangled sealed liquid CPU coolers. They’re quiet, plus they help your system run a little cooler. New motherboard core logic now supports high-speed memory--that is, DDR3 at 1600MHz or faster. Most modern motherboards are dual-channel, with a few higher-end, socket 2011 boards supporting quad memory channels. It’s worth noting that even dual-channel systems running Ivy Bridge CPUs can pump out nearly 30GB per second of peak memory bandwidth, which is plenty for most games. 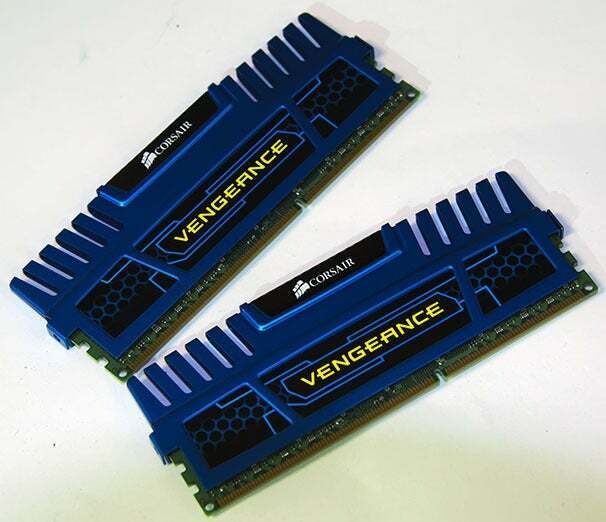 DDR3 memory also happens to be fairly cheap currently. It’s worthwhile to go with at least 8GB of memory, if you’re running a 64-bit version of Windows. Windows 7 Home Premium currently supports a maximum memory configuration of 16GB, though, so keep that in mind as you load up on RAM.